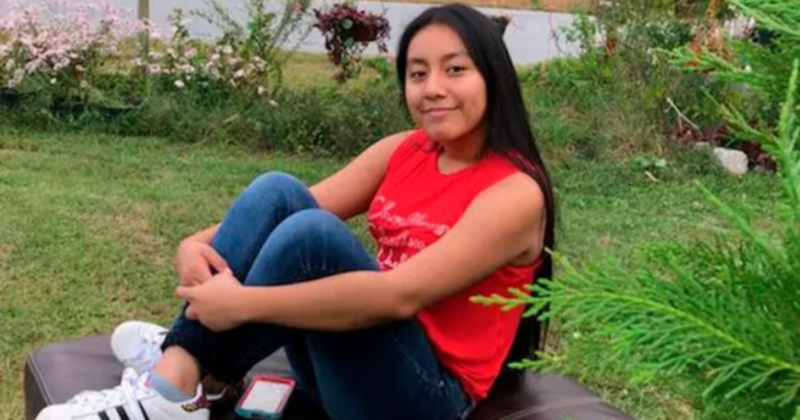 LUMBERTON, N.C. — Authorities have made an arrest in the disappearance and death of a North Carolina teenager, the FBI announced Saturday in a statement. Michael Ray McLellan, 34, has been charged in connection with the kidnapping and murder of 13-year-old Hania Noelia Aguilar. McLellan faces first-degree murder and other charges. He is being held without bond in the Robeson County Detention Center. He will appear in court at the Robeson County Courthouse on Monday. McLellan was in custody at the time of his arrest on charges unrelated to the Aguilar case. The girl’s body was found in a body of water in Robeson County on Nov. 27 about 10 miles south of the mobile home park where she was kidnapped on November 5. Police previously said a man wearing all black and a yellow bandana over his face forced Hania into an SUV and drove off. The SUV was found several miles south of her mobile home park. The body was found a few miles farther away. Aguilar’s disappearance had sparked an intensive search. Drones, dogs, and scores of searchers on foot spent the following weeks combing the area. Police said they followed more than 850 leads and conducted nearly 500 interviews. The FBI’s lab at Quantico, Virginia did a forensic exam on the stolen SUV. The North Carolina State Crime Lab provided test results on Aguilar’s body. Police said the exams helped result in the charges against McLellan. A large turnout is expected at Aguilar’s funeral Saturday at Lumberton High School. Her father, who lives in Guatemala, was denied an expedited visa to attend his daughter’s funeral.